During the Crimean War (1851 - 1854), one Arab horse raced 93 miles without harm, but its rider died from exhaustion. The Arabian horse is arguably the most beautiful horse of all; it is unmistakable in character and appearance. It is also the purest and oldest of all breeds, having been carefully bred for thousands of years. 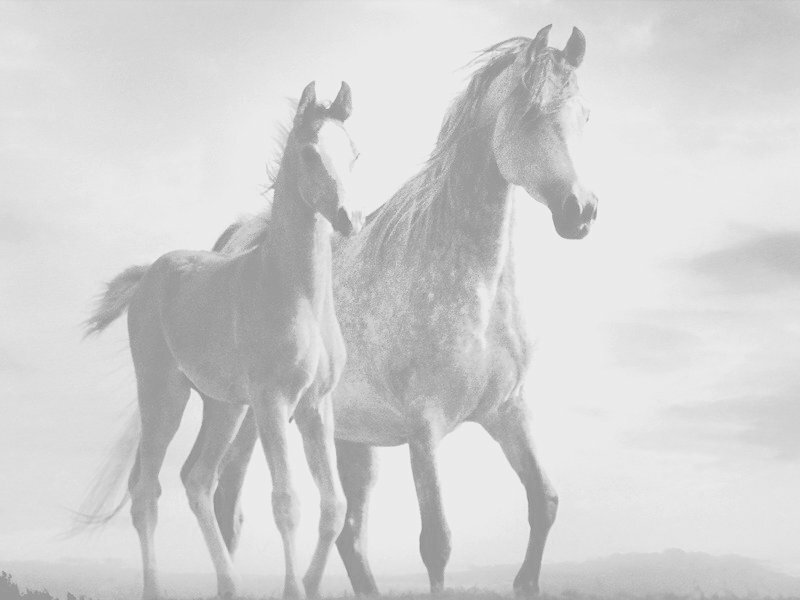 The Arabian's influence is apparent in the greater part of the world's equine population. It is acknowledged as the foundation of the Thoroughbred, which exceeds the Arabian in size and speed but cannot compare in terms of soundness and stamina. While the exact origin of the Arabian is unclear, the evidence from art shows that a race of horses of fixed Arabian type was in existence on the Arabian Peninsula at least 2,500 years before the Christian era. The Bedouin, the people who were most intimately concerned with this "desert horse", trace their association, from around 3000B.C., to the mare Baz, and the stallion, Hoshaba. Baz is claimed to have been captured in the Yemen by Bax, the great-great grandson of Noah, tamer of the wild horses. The spread of the all-pervasive Arabian blood throughout the world was made possible by the Muslim conquests, which were initiated by the Prophet Mohammed in the seventh century when the green banners of Islam, and the desert horses, swept through Iberia into Christian Europe. The Arabian outline is governed by the unique skeletal formation. 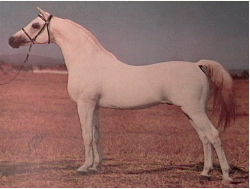 The Arabian has 17 ribs, 5 lumbar bones and 16 tail vertebrae in comparison with the 18-6-18 combination of other breeds. This difference in formation contributes to the high carriage of the tail. The ideal height for an Arabian is between 14.2 and 15hh. The head is unmistakable and unforgetable. It is short and of great refinement, the face being pronouncedly large and so are the eyes, which are widely spaced and lower than in other breeds. The ears are small, fine and sometimes curve inwards. A feature of the head is the jibbah, the shield-shaped bulge between the eyes, which extends from the ears to the nasal bone. 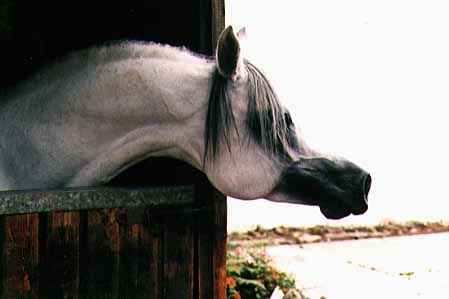 It is unique among equines. A distinctive feature of the Arabian is the mitbah, a word applied to the angle at which the head meets the neck. This results in a particular arched curve that allows the head to turn freely in all directions. The mane and tail are uniquely fine and silky. The skin of the small, tapered muzzle is very soft. The neck curves gracefully into rounded withers, and shoulders that are distinctly set. The Arabian back is short and slightly concave, the loin is strong and the croup is long and level. The root of the tail is set noticeably high in the croup. In movement, it is carried arched and well up. Arabian limbs are hard and clean, but without excessive bone measurement under the knee of the forelimbs. The tendons are clearly defined and the hooves are near perfect in shape and size. Hind legs in the Arabian were, for many years, a failing, but the breed is inherently sound and the movement is remarkably free. The modern Arabian excels naturally at endurance riding although it is outclassed in the other competitive disciplines. Nonetheless, it is bred in great numbers throughout the world with rare dedication, and is still a major upgrading influence on other breeds. Arabian stamina is legendary and there are numerous records of the breed's remarkable powers of endurance. In the nineteenth century, races were often held over long distances in the desert and could last for three days. The action of the Arabian is described as "floating", the horse moving as though on springs. This creature is fiery and courageous but also possesses an exceptionally gentle nature. 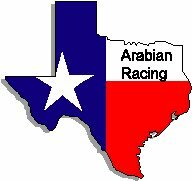 Add your Arabian Horse site. This Time for Change site owned by White Arabian. Want to join Time for Change?